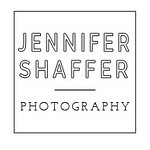 Jennifer Shaffer Photo (JSP) is a small family business with a studio located in the Logan Square neighborhood of Chicago. JSP clients are authentic couples planning a unique day full of family, friends and lots of love! From your first inquiry to the delivery of your beautiful wedding album, every step is curated with love by Jenn. You can check out my portfolio and a description of my services and fees at the links above. If you love my work, send me a note!